Truly a beautiful Modern style lap quilt. The colors are perfect in this Memorial Quilt. 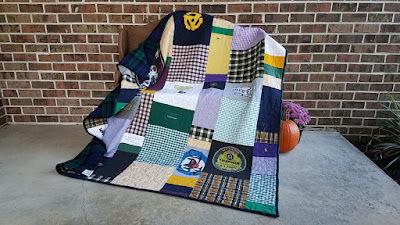 Add the gorgeous tartan plaid flannel for the backing and you have a family heirloom to be treasured for years.